One hundred verses on renunciation by the great poet, Bhartrhari. These are the well known hundred verses on renunciation by Bhartrhari, the great poet and the elder brother of King Vikramaditya of Ujjain. These have been translated into English with an illuminating introduction by Swami Madhavananda. The poetical beauty of this work makes it indispensable to all lovers of literature. The value of this book for a spiritual aspirant cannot be overly emphasized, for it expounds that fundamental quality, sought by every spiritual practitioner, upon which stands the grand edifice of God-consciousness. 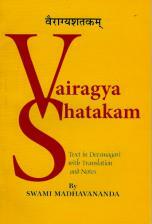 The book includes the Devanagri text as well as an English translation. A preface and notes are included. 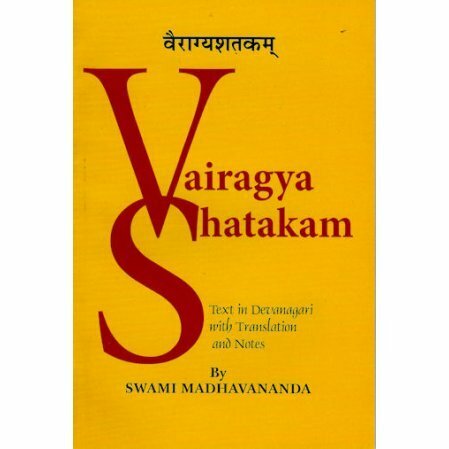 "Vairagya Satakam of Bhartrihari: The 100 Verses of Renunciation"